Fourteen-year-old Rose was trapped in the Ludmir ghetto. A strong young woman, she was forced into hard labor by the Germans, cleaning their homes, digging frozen fields, and transporting human waste. The shining light in her life was Carl Goldberg—a man 12 years her senior who lost his wife and three-year-old daughter when the Germans bombed their hometown. Yet as the suffering wore on and Rose lost her father, three brothers and a sister, her will for life increased. When the Nazis came to liquidate the ghetto, she used all her resources to secure hiding spots for her family and herself, including a faux septic tank, a living grave and spending an entire year surviving underground beneath a barn. At one point, she spent six cold nights shuttling family members one night at a time six miles through snow between hiding places. Rose saved the lives of her mother, her two brothers, her cousin, and her baby niece. When the war finally ended, her skin was rotting, but she was still so beautiful that a pharmacist proposed to her. But she turned him down in the hopes Carl was still alive. He was; they soon married. When they returned to their hometown of Ludmir, they found that, of the 20,000 Jews who lived there before the war, less than 100 survived, meaning nearly ten percent of the survivors were family members Rose had saved. Fast-forward to the present, and Rose, now 92, has lived to see her daughter Anita Goldberg Zucker become an accomplished teacher and CEO of the multi-billion-dollar company her late-husband, Jerry Zucker, also the child of survivors, founded. But Anita knows that astronomical wealth just means millions of more opportunities to make the world a better place. Inspired and humbled by her parents’ and in-laws’ lives, she’s famous throughout the region for utilizing the family‘s success as a tool for building her Jewish community, supporting education and helping others find success. Now, in honor of her family of survivors, which includes not just Anita’s and Jerry’s parents, but her partner David’s parents as well, she has made a $1 million gift to the Center for Advancing Holocaust Survivor Care, a new Federation initiative that expands person-centered, trauma-informed (PCTI) supportive services for Holocaust survivors across the U.S. PCTI care is a holistic approach to service provision that recognizes the impact of trauma on a survivor’s life. 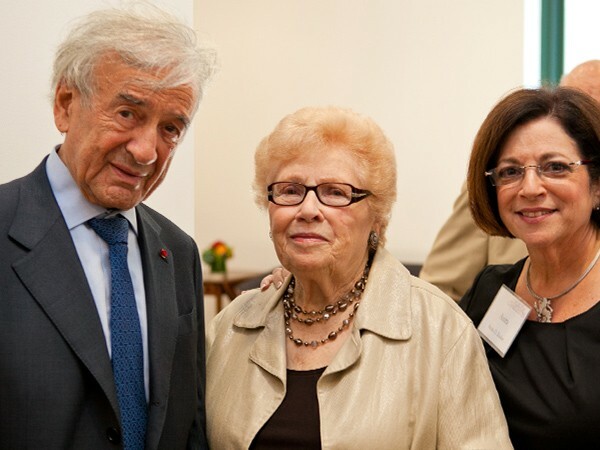 The funds will support vital needs such as counseling, social programs, and nutrition for Holocaust survivors. In the end, Rose not only survived, but did whatever it took to rescue family members in need. And now, through the example she set, her daughter Anita is following in her footsteps—using every tool at her disposal to save vulnerable lives and help secure a brighter future.